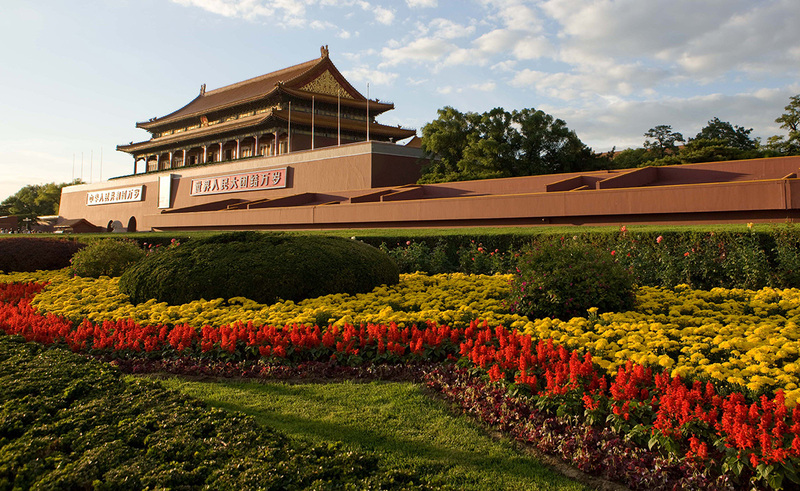 As the capital city of the PRC (the People’s Republic of China), a municipality and a national central city, Beijing is viewed as China’s political, cultural, financial decision-making and management center where the government and NPC (National People’s Congress) are based. 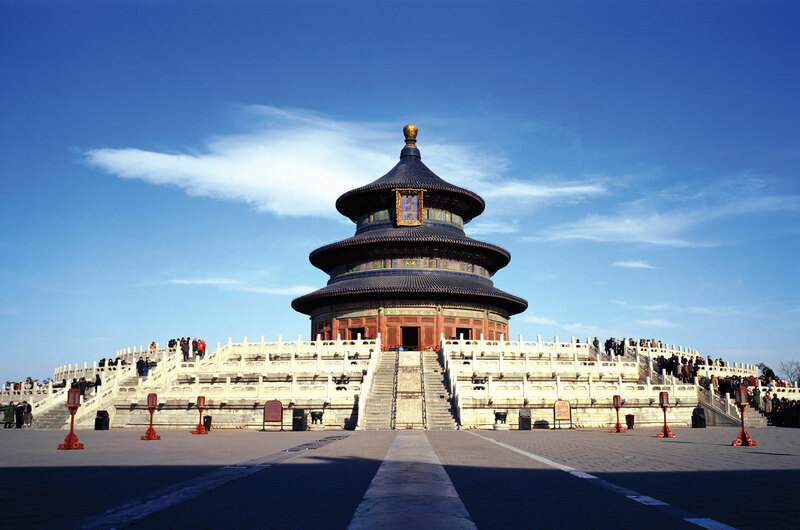 Beijing is one of the biggest cities and its impacts stretch around the globe. Adjoining Tianjin City and Hebei Province, Beijing is situated in the northwestern edge of North China Plain with Yanshan range on its back and Yongding River running through the southwestern corner. As the capital city of the PRC (the People’s Republic of China), a municipality and a national central city, Beijing is viewed as China’s political, cultural, financial decision-making and management center where the government and NPC (National People’s Congress) are based. 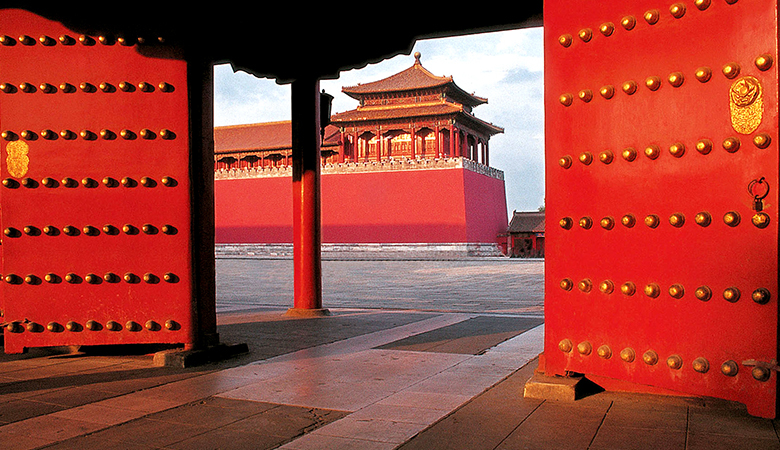 Beijing is one of the biggest cities and its impacts stretch around the globe. Adjoining Tianjin City and Hebei Province, Beijing is situated in the northwestern edge of North China Plain with Yanshan range on its back and Yongding River running through the southwestern corner. 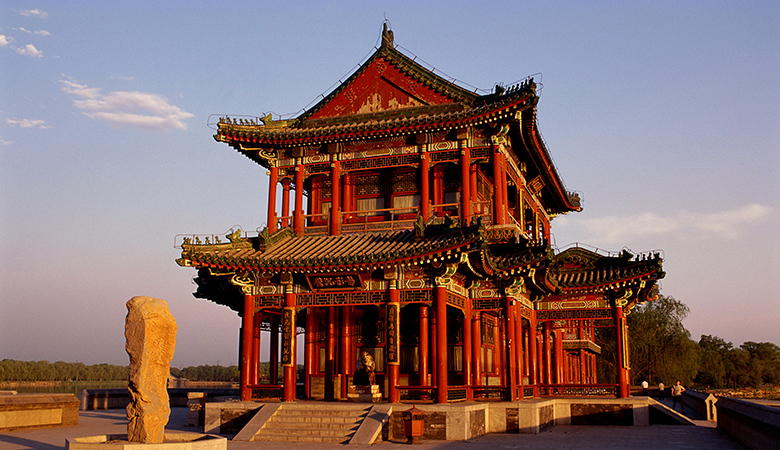 With a history of over 3000 years and a capital history of more than 860 years, Beijing, one of the Four Great Ancient Capitals in China, is noted not only for its 6 world heritages, ranking first in the list of world heritage owners, but also for its plentiful resorts, relics and cultural landscapes. 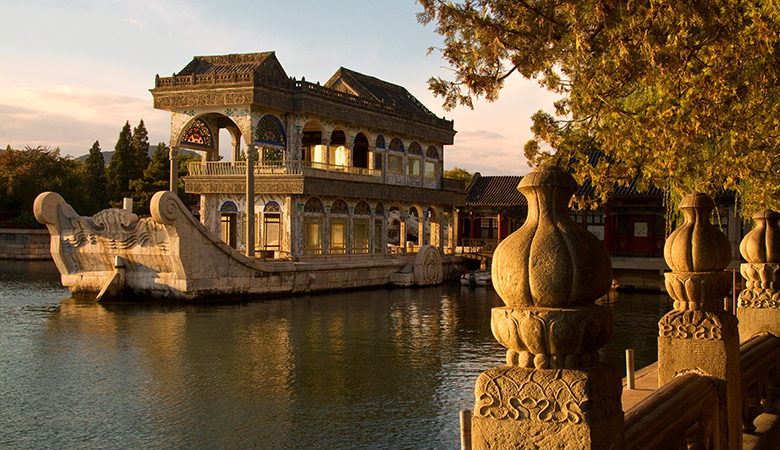 In this prosperous tourism city, more than 200 resorts are accessible to visitors, such as the Forbidden City (the biggest imperial palace in the world), the Temple of Heaven (used for worship ceremony), Beihai Park, the Summer Palace, Badaling Great Wall, Mutianyu Great Wall, Simatai Great Wall, Prince Gong Mansion (the biggest quadrangle courtyard in the world). 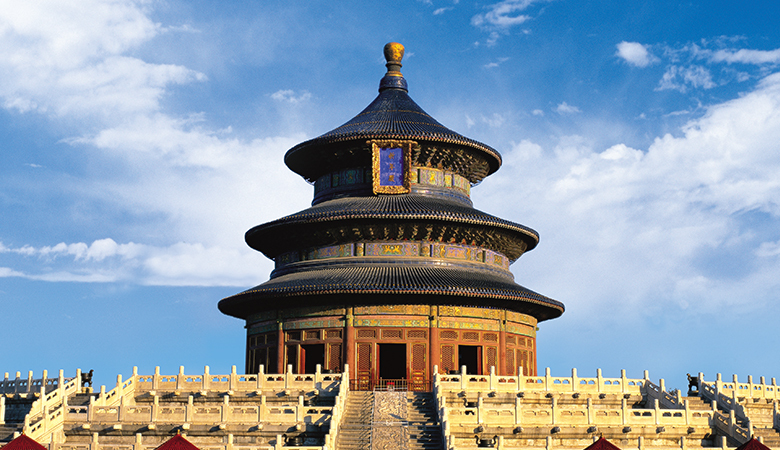 Beijing boasts for its 7,309 cultural relics and historical sites, among which there are 42 national heritage conservation units and 222 under city protection. In Beijing, Chinese scholar tree and platycladus orientalis are regarded as the city trees, while Chinese rose and chrysanthemum are the city flowers. 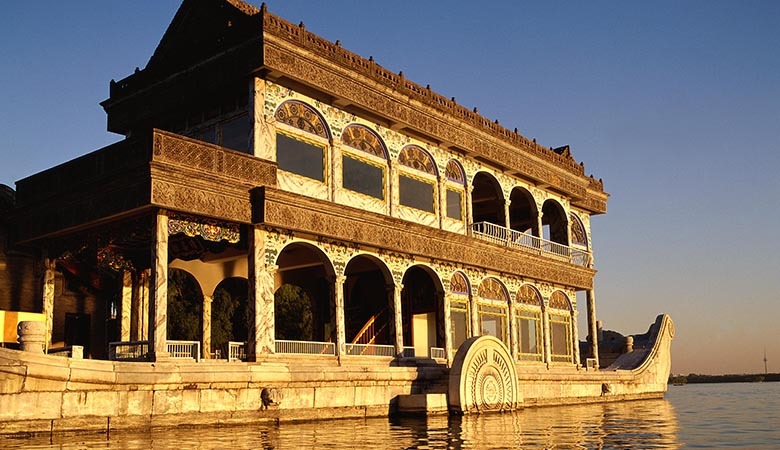 In addition, Beijing is also widely well-known in the world for its traditional arts and crafts such as ivory carvings, jade carvings, Cloisonné and carpets. The center of Beijing is at 39°54′20″N and 116°25′29″E. 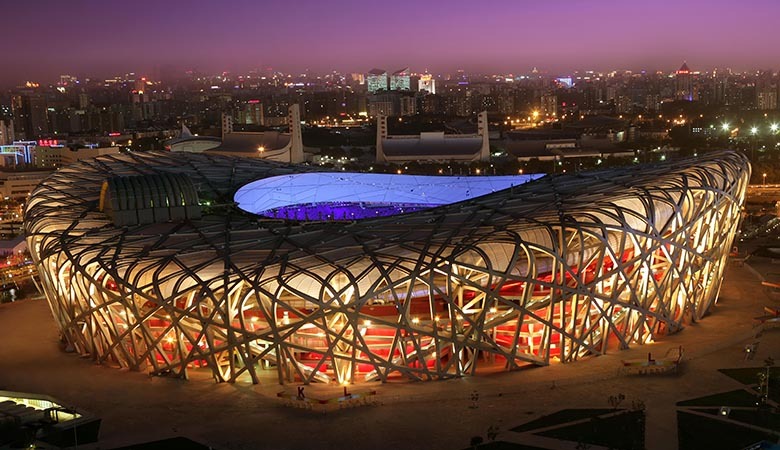 Beijing is lcoated at the northwest edge of the North China Plain, adjoin Bohai Gulf, next to the Liaodong Peninsula in the north and Shandong Peninsula in the south. Adjoining Tianjin, Beijing is embraced by Hebei Province. Mount Xishan, the sub-systems of the Taihang Mountains, is on the west part of Beiing and Mount Jundushan, which is a part of Yanshan Mountains, is on the north.The two mountains conjunct each other at the south entrance of Guan’gou and form a semicircular?valley that spreads southeastward. It is now called Beijing Valley and the plain it surrounds is called Beijing Plain.As it was believed that “You State is encircled by the sea on the left and embraced by Taihang Mountains, connects Juyongguan Pass in the north and adjions the Yellow River and Ji River in the south. What a land of abundance” . Beijing city is 1520m above the sea level. In terms of the Beijing Plain, the averge altitude is 20-60m and gernerally speaking, the mountains vary 1000-1500 m in height. Located in the semi-moist area of warm temperate zone, Beijing has a sub-humid continental monsoon climate with an annual precipitation of 571.8 millimeters. Seasons in Beijing are fairly distinctive, namely, a windy and sandy spring, a hot and rainy summer, a sunny and dry autumn and a chill and fierce winter. To put in details, Beijing has very short spring and autumn which respectively lasts for only 2 months and 1 month and a half; on the contrary, its summer and winter are rather long, 3 months and over 5 months for each season. The distinct monsoon climate of Beijing supplies its summer with 60% annual rainfall in July and August, however, in the rest time of the year, Beijing is relatively dry. The annual average temperature in Beijing amounts some 12.3℃. January is the coldest with an average temperature of -3.7 °C, and July is the hottest with an average temperature of 26.2 °C. As one of the Four Great Ancient Capitals, Beijing has a variety of distinctive customs with local features, for example, Peking Opera is very popular among many citizens in Beijing. Every now and then, visitors can hear the rhythmic performance of Peking Opera. The origin of this art can date back to several ancient folk dramas. In 1790, San qing, Sixi, Chungong and Hechun, the four local theatre troupes from Anhui Province came to perform in Beijing one after another and received great success. Usually Anhui opera troupes shared a stage with Han opera artists from Hubei opera troupes. Gradually, a brand-new opera form—Peking Opera, which is primarily based on “Erhuang” in Hui tune and “Xipi” in Han tune, meanwhile, consisting of Kunqu opera, Shaanxi opera, Bangzi etc., came into being. During 200 years of development, this new opera became more and more Beijing-like in libretto, narration and rhyme; besides, its music instruments, such as Erh-Hu and Jinghu, grew mature by combining distinct features of different ethics. Peking Opera is similar to western drama, both integrate singing, dancing, Martial arts, music, art and literature from which this new art had a name, Peking Opera. Beijing is a city with distinctive seasons. It is hot in summer and cold in winter, and mild in spring and autumn. The mild spring is often accompanited by sand winds and worse still, sand storms sometimes.Therefore, the clear and crisp autumn with best climate is but a prime season all the year round. The best time to travle in Beijing is in May, September and October among which May is a time that the cultural life is the most abundant with frequent internation-level performance, such as the annual HeineKen International Jazz Festival. In winter, Beijing is considered with a special chram. Nothing can equal to a skating in the Beihai Park, a recreation of snow on Mount Xishan and a pot of piping hot mutton in winter.Of course,do remember to take a warm padding coat and a down jacket with you when you’re planning a trip in Beijing.